Our epic Uganda road trip is one of our favorite African trips ever and hiring a 4×4 vehicle was a very important element in our travel program / itinerary. After all, a 4×4 car is high recommended if you are to drive safely on Uganda roads and in East Africa in general. Having driven over 5,000km on East Africa’s roads through Uganda, Rwanda, Kenya and Tanzania for 4 weeks, we decided to share everything we learnt about driving in the countries above to help you plan your next trip. Here’s our top tips for driving in East Africa! When renting a car in Uganda, choose the biggest vehicle you can afford in case you are travelling for many days. The vastness of East African countries means that you will spend more time on the roads traveling to explore different destinations, thus it is more than worth it to spend a little extra for some comfort. We were 4 adults in a Land cruiser Prado, it was perfect for the long drives we had. The boot was big enough for our luggage, with tinted glasses so that our luggage was not visible. Additionally, we had plenty of leg room during the safari. Most of the interesting places to visit around Uganda and in East Africa in general require a strong 4 wheel drive car due to the nature of the roads in the area. 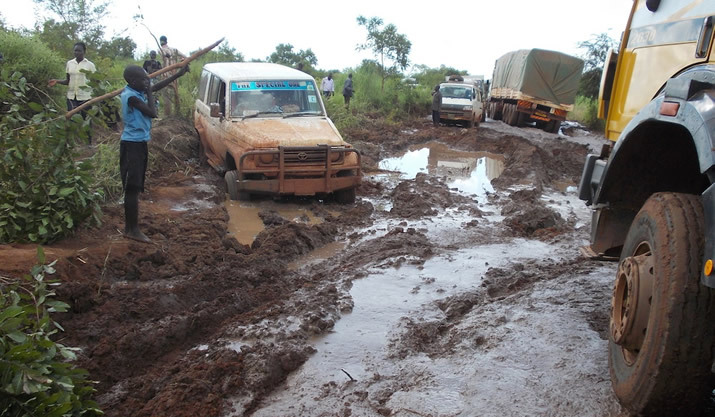 The roads are bad and sometimes impassable especially in the rain season. For instance, the impenetrable forests of bwindi National park in South western Uganda, Kidepo valley national park, Serengeti and Ngorongoro crater conservation areas among others require a four wheel drive. 3. Driving is on the left hand side in Uganda, Kenya, Tanzania while in Rwanda and Burundi, we drive on the right had side. 4. We generally found most Ugandan drivers to be very courteous and very considerate when over taking and changing lanes. 5. If you are to pass a slower moving car, indicate to the right and the car in front will typically move in when possible. 6. Because most Ugandan roads are hilly, climbing lanes are often available and there are many large trucks and Lorries moving slowly. Use climbing lanes to pass trucks and slow-moving cars when going uphill. Likewise, If your car moves slowly than the traffic, move into the left lane to let traffic overtake. 7. Once you pass another driver on highways, a flash of the hazard lights suffices as a thank you. Ugandan drivers are very friendly and you will usually be greeted by a friendly flash of their headlights. It’s a friendly sign so don’t be afraid when it first happens! 8. Hooting is a definite no-no except in an emergency. 9. Watch out for the stop signs and other road signs! The stop signs on the main Ugandan roads and through trading centers / towns took us by surprise. And in some places, road sign posts were stolen by local people. 10. A GPS is very important. You can come with one from your home country, loaded with East Africa maps, or you can rent one from the car rental company. It will help you with road directions and speed limits. 11. Road Maps are very important. Make sure you get updated travel road maps. These are some times offered with the car, or you can by from shopping malls and Bookshops. 12. Always double check your route before you begin your journey and get a general picture of the route especially in south western part of the country. 13. In Uganda, there are no street lights on highways and sometime visibility is poor with only head lamps. Additionally, some Uganda roads, including major highways have no Cats-eyes or fluorescent line markings, thus making driving after dark very difficult because it is difficult to see the road. 14. Some places are not safe at night, with highway robbers. 15. Out side Kampala, there are lots of people walking and running on hard shoulders after dark, and it is almost impossible to see them with head lamps as they typically don’t wear any reflective gear. 16. Another big driving hazard is that lots of animals come out at night. You will come across herds of goats and cows wandering on the road. Additionally, some highways go through National parks where we expect animals to cross at any point including huge ones like Elephants. 17. Traffic police is on every highway with speed guns. It will be a bad day for you if you caught exceeding the speed limit. Speed Limit varies frequently, for instance, in towns/trading centers, its between 30 – 50km/h, and then 70 – 100km/h on highways. 18: Generally speaking, most highways are very good with good tarmac. 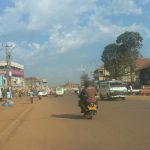 However, some parts have marrum with much dust especially in dry season, for instance, the road from Masindi through Hoima to Kyenjojo. You will find bad roads in rural areas with dust, potholes and without road markings. 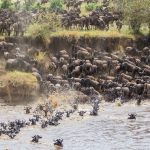 Access is most national parks is difficult and only 4×4 cars highly recommended, for instance, Bwindi Impenetrable National park in Uganda and Ngorongoro conservation area in Tanzania among others. 19. Petrol stations are available frequently on major highways throughout the country. The only exception to this is Kitgum to kidepo Valley National Park where you can’t pass a single major petrol station on your drive. You are advised to fill your tank in Kitgum town if going to Kidepo N.P, and if possible, keep some gas in a jerrycan. Further more, the stations are less frequent in rural areas, therefore, you are advised to fill your before leaving major towns because you never know where to find the next gas station. Additionally, do not allow your gauge to go below quarter tank. 20. Don’t fill your own car. Throughout the country, there are petrol attendants at all gas stations to fill you up and pay cash. The station attendants can help clean your wind-screen, check your oil, tire pressure and water. Credit cards are accepted on a few petrol stations in major towns. As tourists, It’s customary to tip a small amount such as 1000 – 10000 Uganda shillings depending on the service offered. 21. Most places have parking attendants to look after your car and luggage. You will always feel very confortable to leave the rental car and your property in presence of a parking attendant.A small tip of 1000 – 10000 Uganda shillings is recommended. 22. However, in case you don’t find a parking attendant around, you are advised not to leave your valuables such as cameras, phones, laptops and money in the car. Even a visible charging cable is enough to increase the risk of a break in. 23. When you park on streets or super market, make sure you lock the car and never leave any valuables unless you able to monitor the car from a distance. 24. 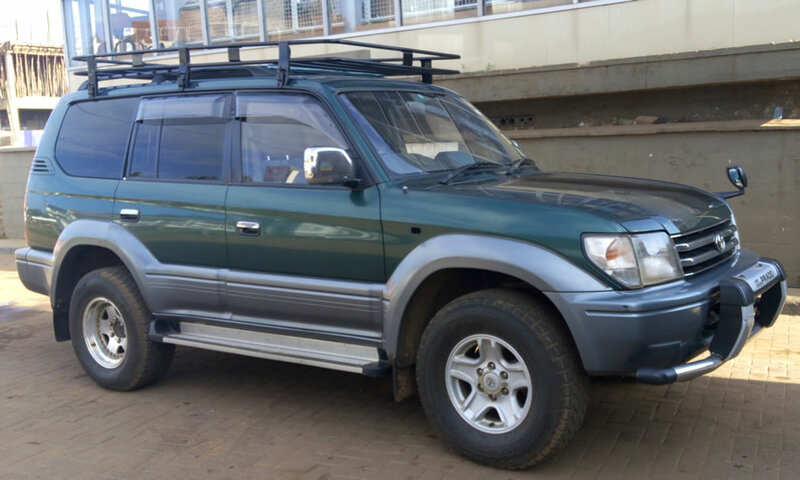 4×4 Uganda Limited and some other the major rental agencies allow their cars to be driven into Kenya, Rwanda, Burundi, Tanzania, South Sudan and Democratic Republic of Congo (D.R.C). 25. If your trip goes out side Uganda, inform your rental company in advance or when you pick up your vehicle to get a letter and other documents to authorize you to enter Kenya or Rwanda or Tanzania with the rental car. These documents are required at the borders.